i will be back to more regular posting next week, promise. i have been in such a daze ever since last weekend! yay for friday. i am quite excited for this weekend. 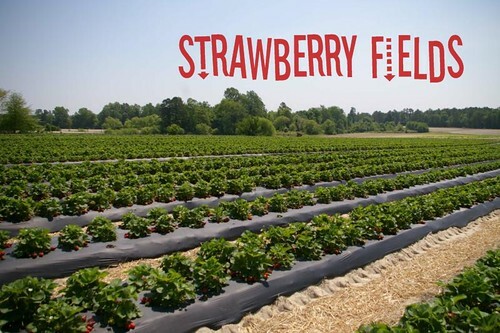 tomorrow my friend and i, along with our moms, are going strawberry picking! this is the first weekend of the season... and i haven't been in quite a few years. i am so ready to throw on old shorts and a tank top (for strawberry stains, of course) and some old tennis shoes to spend a few hours in the fields. any other ideas? if you have any tried-but-true, strawberry-filled recipes, send them my way!